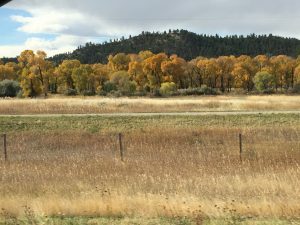 so I took a quick shot of a few students. 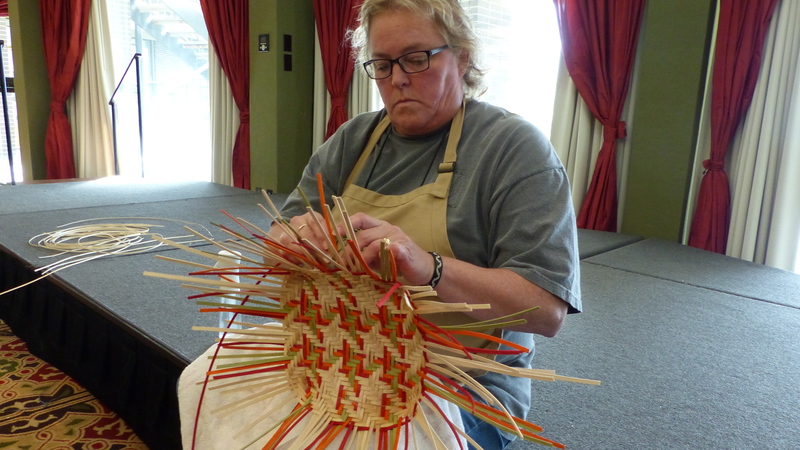 Thanks for having me up – great students, delicious food, and colorful, beautiful baskets. And then I was off to the Association of Michigan Basketmakers. 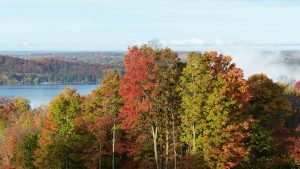 This year the event was held at Shanty Creek Resort in Bellaire, Michigan. 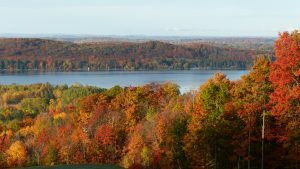 What a beautiful time to go to northern Michigan; the colors were amazing! 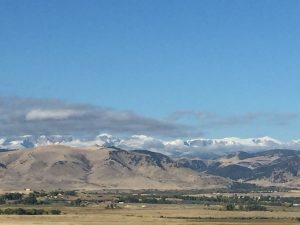 We wove for five days looking at that beautiful view! 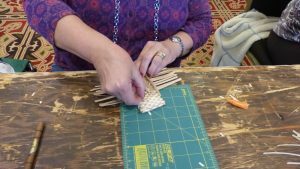 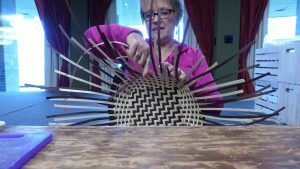 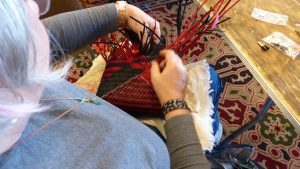 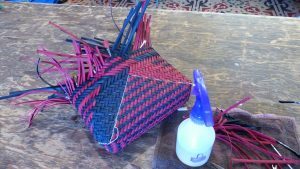 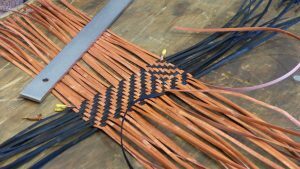 learned a whole lot about weaving a cathead base. 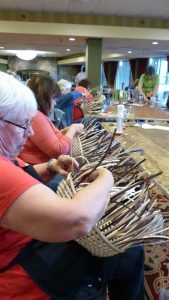 What a great class! 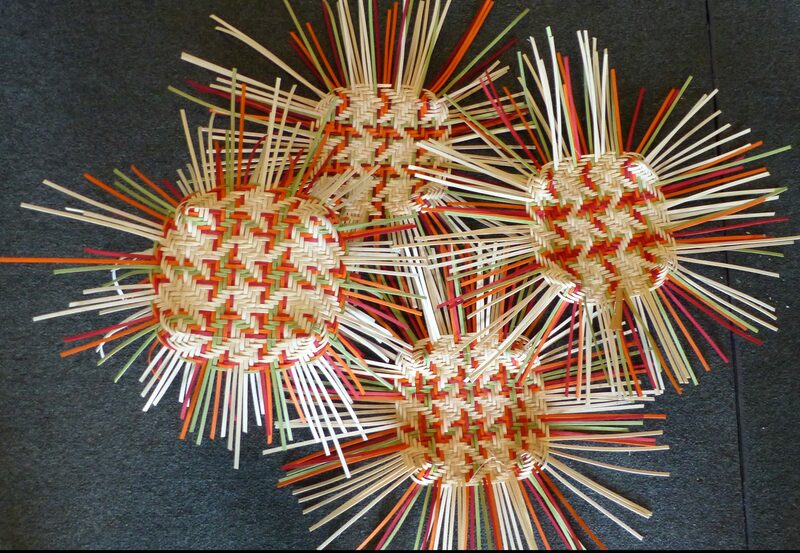 Then we made Pinwheels, another cathead base. 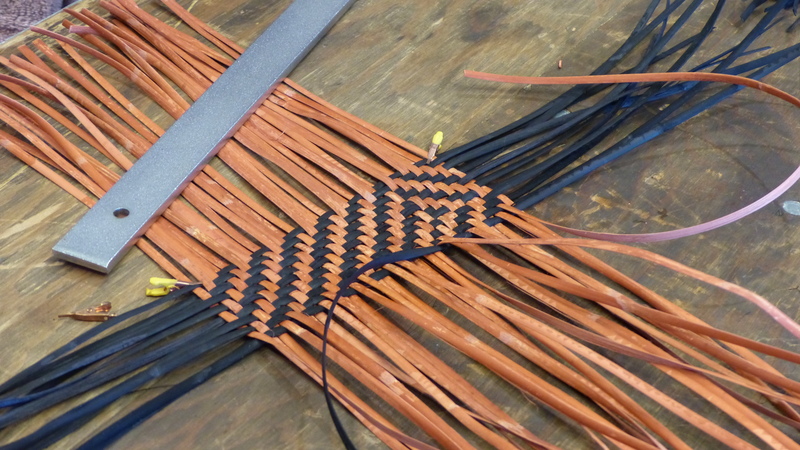 Students had two color choices, Spring or Fall, all of them beautiful. 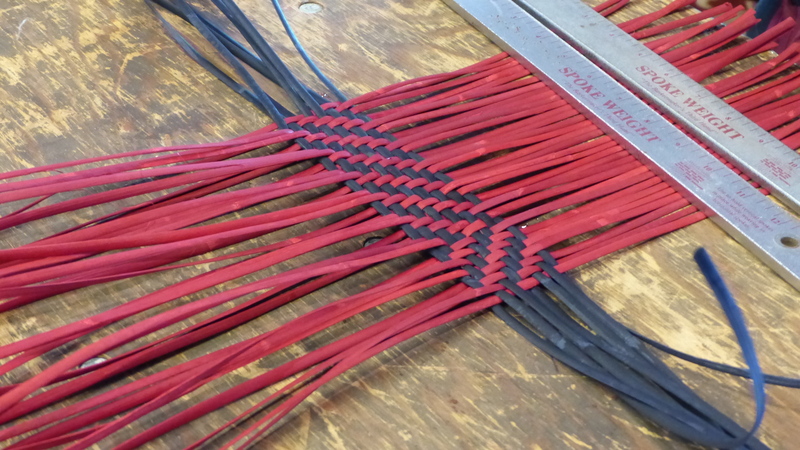 Lots of work, but so worth it. Beautiful baskets ladies! 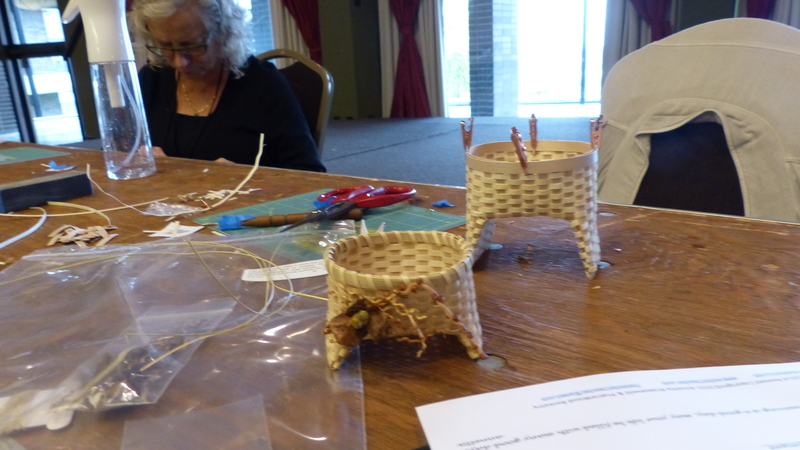 cute little legs. 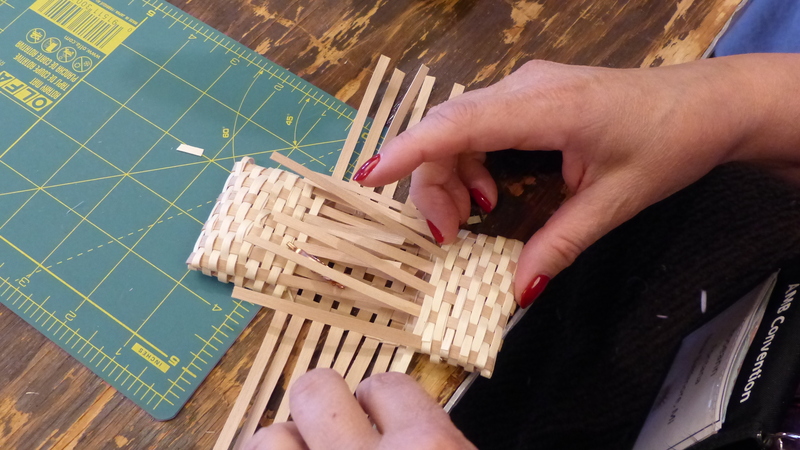 A perfect little basket to weave at the end of a wonderful basket weaving week! 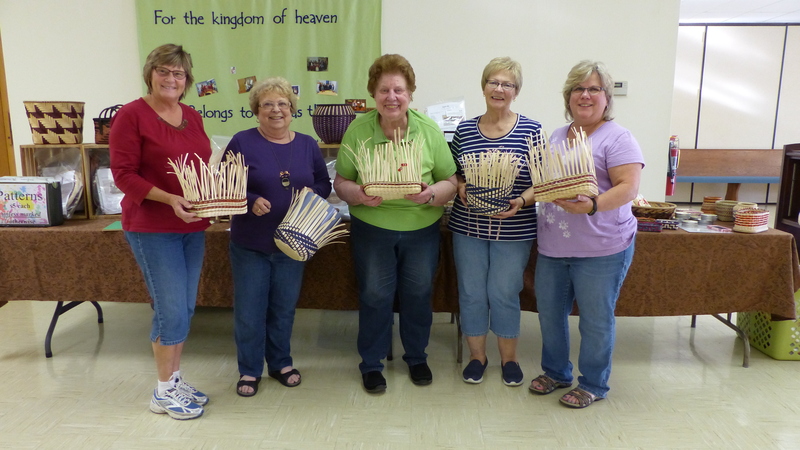 Thank you to the Basket Weavers Guild in Ripon, Wiscosnin for inviting me to your guild. 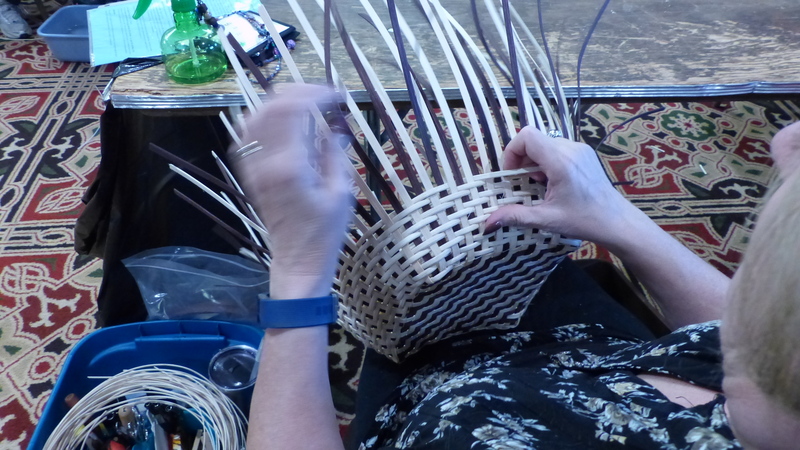 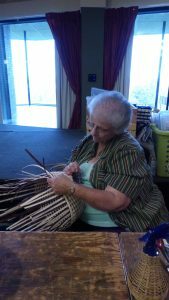 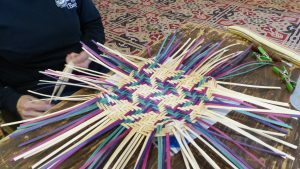 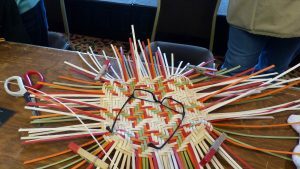 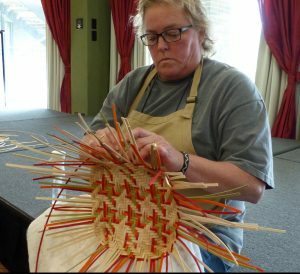 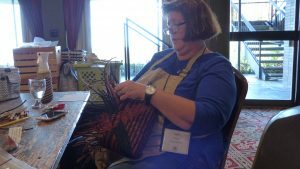 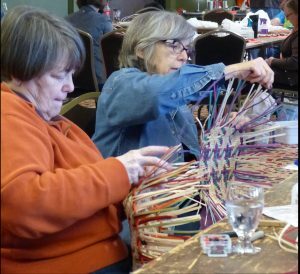 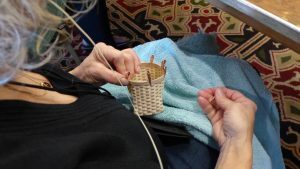 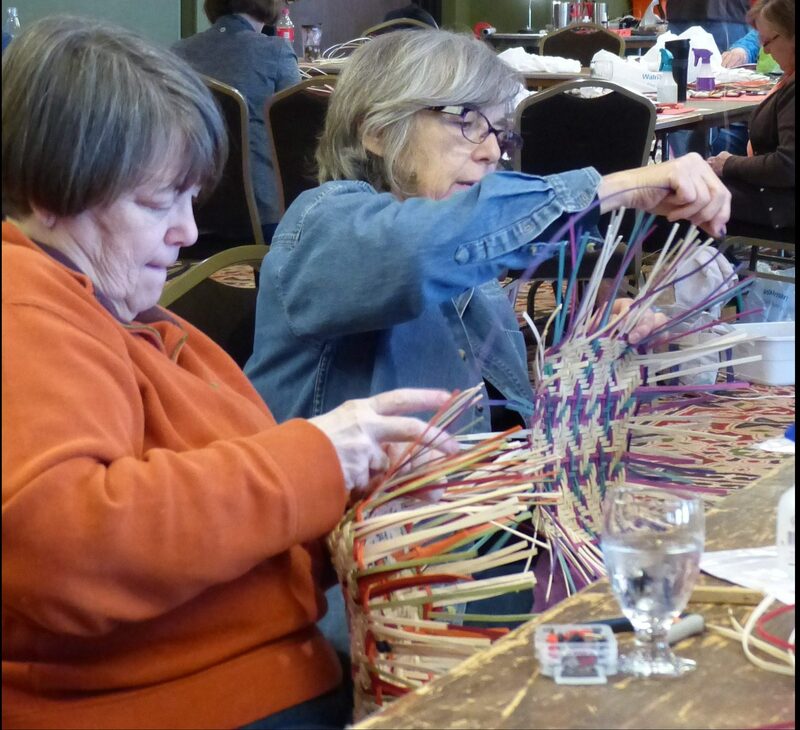 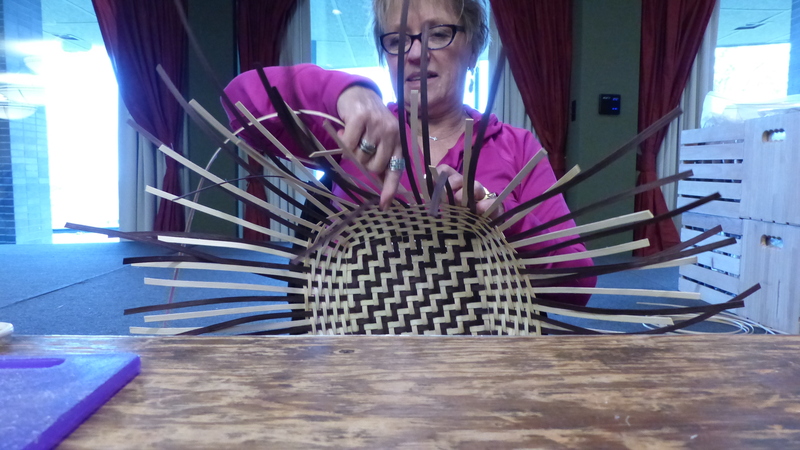 And thank you to the Association of Michigan Basketmakers for another wonderful basket weaving convention!